A World Bank policy paper, approved by its chief economist Kaushik Basu, has said that India has been over-estimating its poverty levels by adopting an old methodology. The paper says that a major reason why India miscalculated is because it did not include long-term nonfood consumption items in consumer expenditure in its calculation methodology. 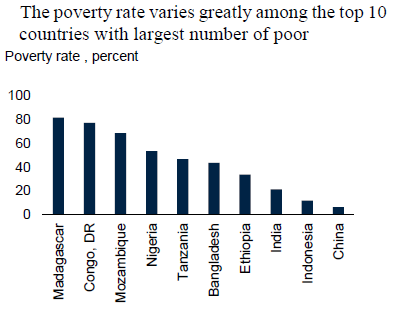 Titled “Ending Extreme Poverty and Sharing Prosperity: Progress and Policies”, in a sub-section, “Why poverty in India could be even lower”, the paper suggests, a major “non-food” factor which may have contributed in reducing poverty in India is infrastructure development in remote areas, particularly rural electrification. 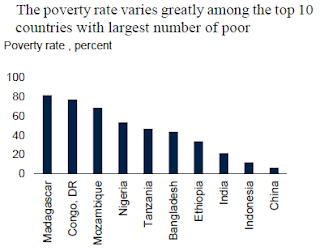 As a result, says the paper, which has been authored by Marcio Cruz, James Foster, Bryce Quillin and Philip Schellekens, the actual poverty in India should not be 21.1 per cent, as earlier calculated, but actually 12.4 per cent in 2011-12. As the reference year for poverty is 2011-12, observers say, it is “safe to assume” that the paper refers to the success achieved by the Rajiv Gandhi Rural Electrification Mission, floated by the previous UPA government, in order to provide subsidized power to the poorer sections of the population across India. “These so-called uniform reference period (URP) consumption aggregates collected in every consumption survey (except 1999/2000) provide the longest consistent series for measuring poverty in India”, the paper says, adding, even the World Bank used this methodology earlier. Under the UR-based consumption, India’s poverty would be 21.2 percent. However, the NSS “introduced a new consumption series based on a modified mixed reference period (MMRP) in the 2009/10 survey. The MMRP series (which modified the 30-day recall to a 7-day recall for some food items and to a 1-year recall for low-frequency nonfood consumption items) was recommended as a more accurate reflection of consumption expenditures”, the paper says. “As a result of the shorter recall period for food items, MMRP-based consumption expenditures in both rural and urban areas are 10–12 percent larger than URP-based aggregates. These higher expenditures, combined with a high population density around the poverty line, translates to a significantly lower poverty rate of 12.4 percent for 2011/12”, the paper underlines.